Virunga, Africa’s oldest national park needs your help. Today WWF has launched a global campaign to protect Virunga. We need to keep an oil company, Soco International PLC (Soco), out of the park and stop it from exploring for oil. You can help us by adding your name to show you draw the line at the exploitation of Virunga National Park. Virunga, on the eastern edge of the Democratic Republic of Congo, is Africa’s oldest national park and is a World Heritage Site known for its unique biodiversity. It’s home to a greater variety of wildlife than any other park in Africa, including 216 species found in the region which are not found anywhere else on Earth. 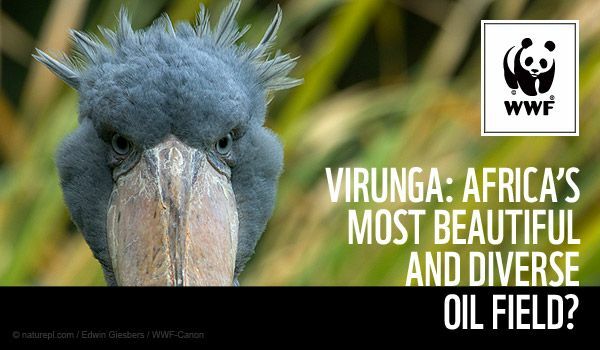 We’ll use your name to tell business and government to draw the line on oil exploration in Virunga. Some places are just too precious to be exploited.